Choosing to get a degree online through any number of accredited institutions can be very beneficial for a student. One of the main benefits of choosing to obtain a degree in this fashion is the ability to continue working or fulfilling other commitments without the interruption of a regimented class schedule. Often, the cost of an online degree is significantly less than that of an education at a brick and mortar institution, as it costs the school less to educate the individual. Online degrees can be ideal for older students or people with children, as classwork can be done at a student’s convenience. They are also an excellent option for people who are geographically limited by their location, as work can be completed at home. While there are many advantageous aspects to getting a college degree online, pursuing an online degree is not without disadvantages. For some students, the classroom environment is stimulating. While pursuing an online degree, any interaction with peers who are taking the same class is limited to message boards. In addition, the immediacy of interacting with a teacher or professor regarding questions or assignments is not available to students who are pursuing an online degree, as they may have to wait for a teacher to respond. Individuals who have issues focusing and staying motivated may have issues pursuing an online degree. So: Are Online Degrees Worth It? 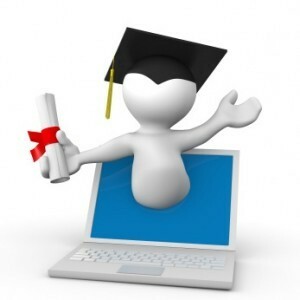 When considering the advantages and disadvantages of an online education, it is easy to conclude that for most people, getting a degree online is absolutely worth it. The negative stigma surrounding online education has largely fallen away in recent years, and there are many institutions that offer accredited and widely respected degrees. Colleges such as the University of Phoenix and global campuses offered by well known schools such as Penn State provide the same quality of learning and workforce potential as brick and mortar institutions while also offering flexibility and geographic convenience. For people who never finished college, those who never started and even those who would like to advance to a graduate degree despite a busy lifestyle, online education can open the door to a brighter future without limitations.